J.C. Penney Company Falls After Poor Outlook | Headline OTC - Your #1 Source for Breaking Headlines in the OTC Stock Markets and Beyond! J.C. Penney Company, Inc. (NYSE:JCP) shares slid 1.35% to close at $33.73 following the company trimmed its fiscal second-quarter estimate as its attempt to promote its products failed. The company said that now it expects to earn 6 cents a share, compared to its previous forecast of 20-24 cents a share for the second quarter. The company further reduced its target for same-store sales growth to 1-2%, from its earlier target of 3-4%. The company said that its same store sales grew 2% in the month of June, missed analysts’ estimates of a rise of 2.30%. For the five weeks ended July 2, J.C. Penney said total sales fell 0.3% to $1.54 billion. Paul Swinand, retail analyst at Morningstar, said Penney could also be suffering from its locations in older malls where traffic is declining. The retailer isn’t opening stores at the pace of some of its rivals and that means a less robust revenue flow because younger stores tend to do better, Swinand said. 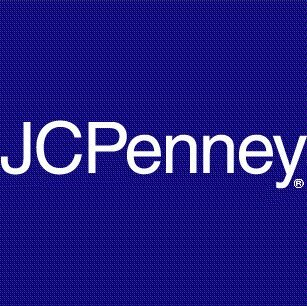 J. C. Penney Company, Inc. (jcpenney) is a holding company. The Company is a retailer, operating 1,106 department stores in 49 states and Puerto Rico as of January 29, 2011. Its business is consists of selling merchandise and services to consumers through its department stores and through the Internet Website at jcp.com. Written by: Simon Bell on July 7, 2011.